Owen makes a case for resentment. One of the highlights of Zizek's lectures at Birkbeck last year was his bravura attempt to do much the same thing; one of the more worthwhile of his recent reversals of leftist (or perhaps post-structuralist) orthodoxies. The reclaiming of a certain kind of resentment doesn't even have to be an anti-Nietzschean move. 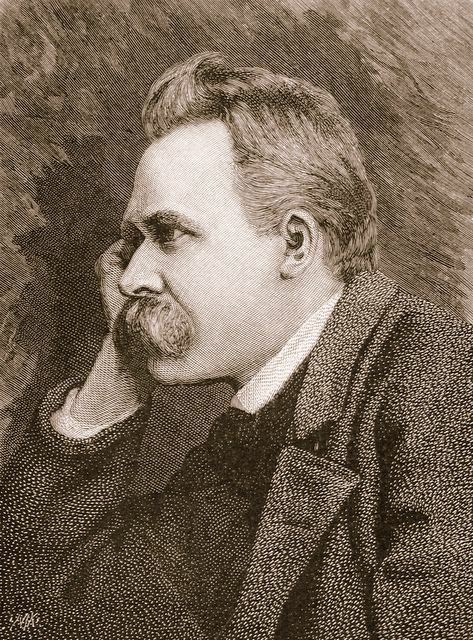 Nietzsche's, after all, was not a denunciation of resentment per se so much as an attack ondisavowed resentment. The slave's fault is his bad sublimation of his feelings of resentment; instead of admitting that he covets the master's power and strength, the slave pretends (to himself) that it is better to be pacified, inadequate, wretched. A resentment that induced the slave to rise up and better the master would no longer belong to slave morality. It's fitting that Owen should invoke Tricky here. Pre-Millennium Tension fits into a long tradition of working class disillusion with the trappings of pop success. The lines from 'Christiansands' that Owen cites - 'I'll master your language' (followed by: 'and in the meantime I'll create my own') - would resonate with anyone projected out of the subordinate class or anyone who wishes to escape such subordination. 'Tricky Kid' recounts what happens when Tricky achieves his goal; it is at one and the same time his version of playa bragging ('I live the life they wish they did... Now they call me superstar') and a registering of disgust at what he witnesses at the summit ('coke in ya nose'). Disgust at ruling class revelry doubling into self-disgust, both slipping into religous mania - class dislocation has never sounded so psychotic. 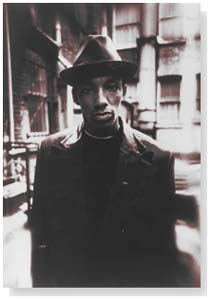 Sadly, Tricky could not himself resolve the contradictions that his success produced - how could he? How could any individual? It is precisely in the compulsory affirmations which contemporary culture insists upon that we can find the bad side of resentment. I think Simon was right to say that a certain resentment underlies Popism, for instance. It seems to me that the elevation of the Paris Hilton LP to a central object of study reveals the double bind of Popism: either it has to be admitted that the interest is motivated by a reactive flouting of what are taken to be rockist hierarchies, or it is must be claimed that the LP is being assessed on its own merits, because it is 'good', in which case all the problematic issues of evaluation and canonicity are raised again. Notice that I'm not saying that the LP was bad; like most record buyers I was indifferent to it. What I am questioning is whether the Popist affirmation of the LP could have happened without a rockist big Other to scandalise. There is a very definite class dimension in my distaste for Popism. Popism seems to be the working out of set of ruling class complexes: a sneaking past matron to enjoy forbidden pleasures. 'We ought to like classical music, but really we like Pop!' (Incidentally: how many Popists are there who didn't go to Public School?) For those of us who weren't brought up into high culture, Popism's calls to be always cheerful about mass culture are very much like being told (by our class superiors, natch) to be content with our lot. In working out its own resentments, what Popism takes away is nothing less than the right to resentment of the subordinate group. By contrast, the significance of something like Dennis Potter or postpunk was that they gave access to aspects of high culture in a space that de-legitimated high culture's exclusivity and privilege. The utopian space they opened up was one in which ambition did not have to end up in assimilation, where mass culture could have all the sophistication and intelligence of high culture: a space which pointed to the end of the current class structure, not its inversion. Owen is right. Resentment is a fitting response to the degrading and degraded version of popular culture currently served up by the Oxbridge elite. Resentment versus contempt and condescension. Resentment and malcontentment: the beginnings of resistance to capitalist realism's compulsory positivity. In other news: check out this jaw-dropping example of managerialist inanity. If I were writing a sitcom now, it would be about 'staff development', which is both sinister and self-satirisingly hilarious. I wonder if anyone has come upon a worse or comparable example of dubious staff development initiatives? I will be in London for a few days, at Simon's thing at Borders tomorrow and at the Lee Edelman/ No Future event on Saturday. Any readers who are going who would like to say hello, please mail me. There may not be any posts until early next week, but never fear, I have some big ones planned.